Meaning What’s the matter with you? Literally Which fly bit you? 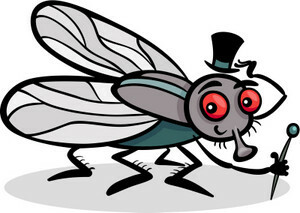 Usage notes: Flies are annoying, especially when they bite, and they can also be hard to spot. 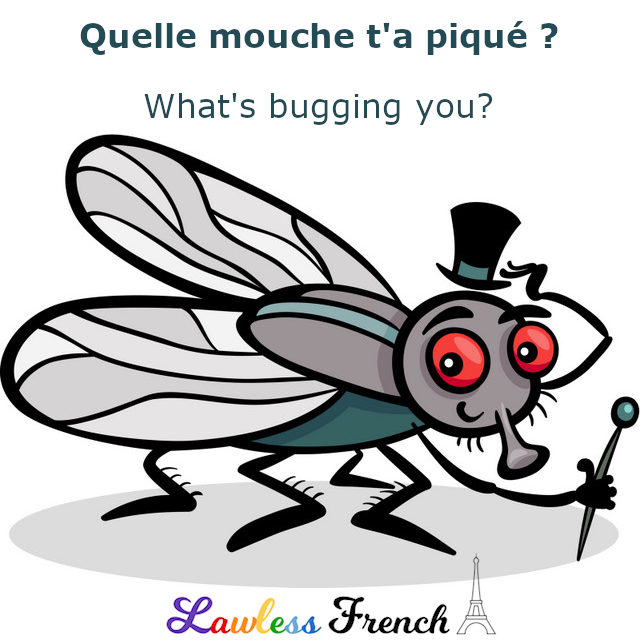 So the informal French expression quelle mouche t’a piqué ? is a logical way to ask someone why he looks or is acting annoyed when there’s no obvious reason for it. Variation: Quelle mouche te pique ? Qu’est-ce qui ne vas pas ? Quelle mouche l’a piqué ? What’s bugging him? Quelle mouche l’a piquée ? What’s bugging her? Quelle mouche vous a piqué(s) ? What’s bugging you? Quelle mouche les a piqués ? What’s bugging them? Quelle mouche a piqué ta sœur ? What’s bugging your sister? Quelle mouche a piqué les élèves ? What’s bugging the students?